St Kilda’s Palais Theatre is Australia’s No. 1 Theatre Concert Venue and one of the top ranked venues in the world. With a capacity to seat 2896 it is the largest seated theatre in Australia and features wonderful acoustics, a large raked stage, generous dressing room facilities and spacious foyers. The Palais Theatre is suitable for all styles of events including live music, comedy, ballet, opera and children’s events. Please do not call this number for general venue or ticketing enquiries - Please call the venue on 03 8537 7677. Anticipated size of audience (how many tickets are you aiming to sell). With this information we will be able to provide you with a quote for costs. Please contact bookings@palaistheatre.com.au or 03 8632 2178 for venue hiring costs. Venue Capacity, please click HERE. 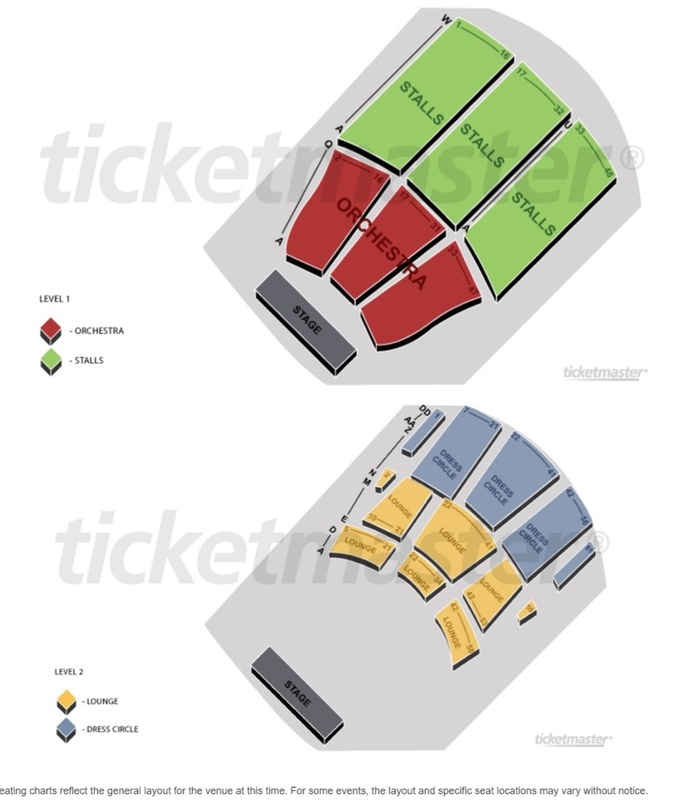 Seating Maps, please click HERE. Technical Specifications please click HERE. All tickets must be sold via Ticketmaster, we do not issue tickets on consignment or allow agents or third parties to on sell tickets. Ticketing fees are not negotiable. Hirers must use Palais Theatre ushers and security, including for merchandise sales. If an event hasn’t sold enough tickets to cover costs via Ticketmaster the promoter/hirer will be required to pay all estimated costs prior to the event (staff, security, rigging, cleaning, electricity etc) as will the audio and lighting companies. Palais Theatre may conduct a risk assessment prior to accepting a pencil booking and/or hiring agreement. The Palais Theatre seats 2890. It includes 4 seating sections, Level 1 – Orchestra and Stalls, Level 2 - Lounge and Dress Circle. Cnr Lower Esplanade and Cavell Street, St Kilda. Next to Luna Park. All genres of Live Music – rock, pop, blues, roots, rnb, country plus comedy, opera, ballet, kid’s shows, school concerts and community concerts. Palais Theatre is a 1920’s art deco picture palace originally built to screen silent movies and present variety shows. Designed in the ‘atmospheric’ style the theatre features a range of influences including gothic, French and Moroccan to make the audience feel that their night out would be one to remember. It maintains many original features and successfully bridges the gap of historic building and modern live music venue. The Palais Theatre has an exclusive ticketing agreement with Ticketmaster. All tickets for all events must be purchased through Ticketmaster. Palais Theatre does not allow promoters to sell their own tickets or use brokers or 3rd parties to sell tickets. For information on ticketing fees & charges, please contact us at - palaisbookings@livenationvenues.com.au. For the Palais Theatre's Technical Specifications, click HERE.